As you may know, in addition to my writing about tech, ethics and LGBTQ issues, I’m also a reviewer of comics and cartoons, two mediums that are very near and dear to my heart. If you’re interested what I’ve been reading and watching lately, here’s a roundup of the reviews I’ve written for Rogues Portal and Ms En Scene over the past few months! Every once and a while, a graphic novel is so good, so beautiful, and so touching that it tugs on your heartstrings in a way that you just can’t get out of your head. Bingo Love is one of those books. 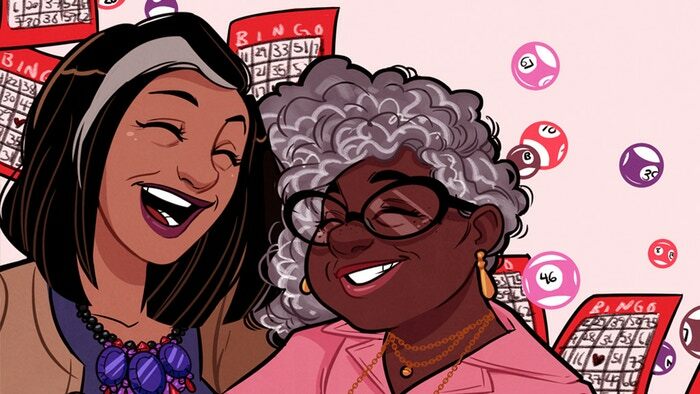 Bingo Love is a love story spread out over an entire lifetime. It follows the lives of two black women, growing up in New Jersey in the 1960s. Hazel was in love with Mari from the first time she laid eyes on her at the church bingo hall. They were friends for years before Mari was able to admit that she loved Hazel in the same way. However, they weren’t able to be together, because when their families found out, their families separated them immediately, forcing Mari to move down south. They were both married off to men that their families deemed acceptable, and they didn’t see each other for fifty years. To see a character I love, like Bobby Drake, come out of the closet is always a great feeling. 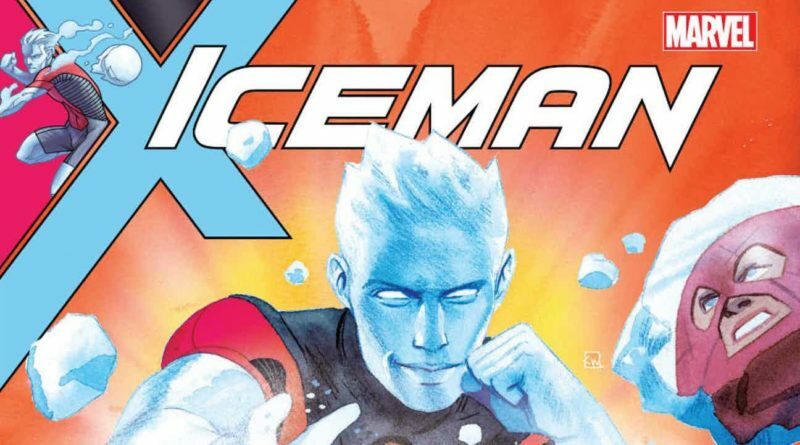 So naturally I was very excited about Sina Grace’s new run of Iceman, whose first trade paperback came out in January. But I felt cautious too. More queer representation in comics is definitely something I want to see, but coming out stories can be tough. There are so many of them, and they’re often the only type of story queer people are allowed to get in media. 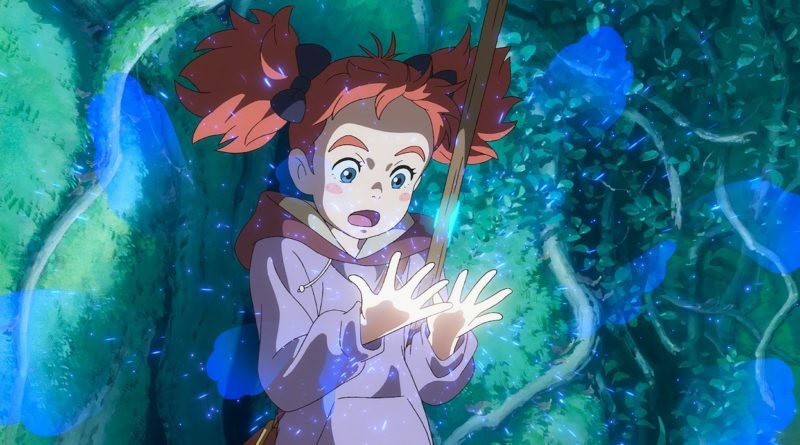 Mary and the Witch’s Flower is a dream in every sense of the word. A Studio Ghibli movie in nearly everything but name, it’s the first feature length film to come out of the new Studio Ponoc. Founded by former Ghibli producer Yoshiaki Nishimura, and employing several other key former Ghibli animators, Studio Ponoc aims to keep the Ghibli magic alive. And with Mary and the Witch’s Flower, they have succeeded. At face value, Archival Quality seemed like a pretty straightforward ghost story – which was already enough to grab my interest! At the heart of the book is Cel, a young girl suffering from anxiety and depression who lost her dream job as a librarian and found new work as an archivist at a creepy medical museum. But what she didn’t realize when she started the job is that the museum was haunted! 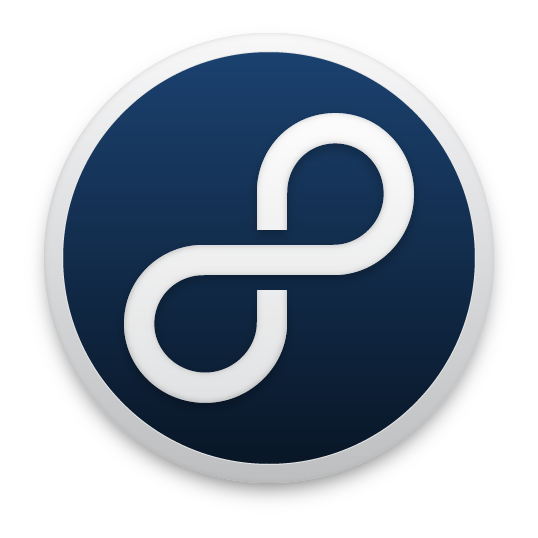 However, once you really delve into it, Archival Quality is so, so much more than just a ghost story. It didn’t take much to sell me on Isola, a new fantasy series coming out from Image next month. Just seeing the gorgeous art would have been enough to get me to pick up the first issue. And, when I read that it was inspired by Hayao Miyazaki, I was completely on board. 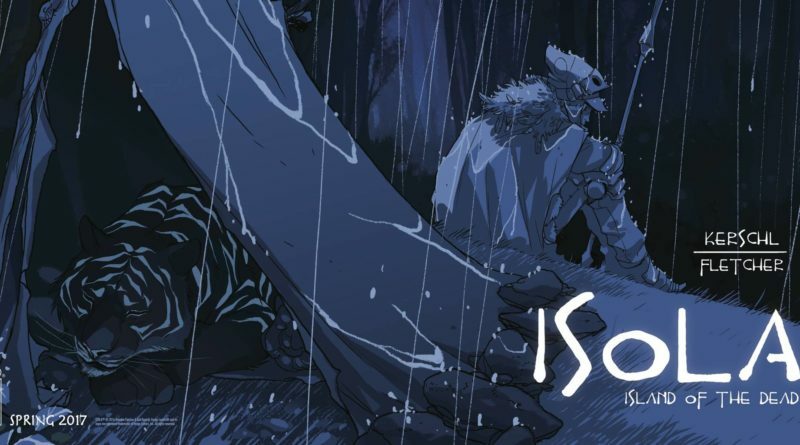 Isola #1 has high fantasy written all over it, in the best way, and it’s named after the mythical world of the dead. It follows the story of Rook, the captain of the guard. Rook is fleeing the city and avoiding the hunting clan, all while trying to protect her Queen (who has been cursed into the form of a black and blue striped tiger). Getting to know the two main characters when only one can speak is an interesting dynamic. We learn a lot about Rook through the fantastic art—her expressions, her posture. We get a sense for how much responsibility she carries on her shoulders. We get an appreciation for both her strength and her gentleness. 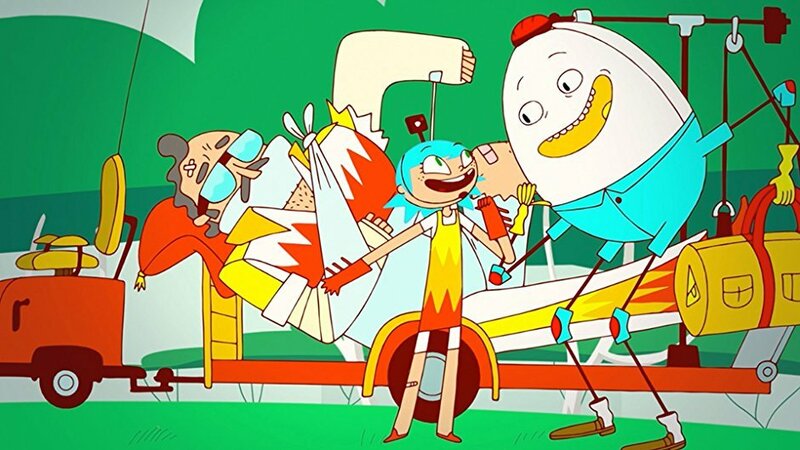 Danger & Eggs is my favorite cartoon about a stunt performer from a family of stunt performers and her best friend slash giant anthropomorphic chicken egg. Okay, maybe that’s a pretty specific category, but Danger & Eggs is a unique show! D.D. Danger is a thrill-seeking girl with blue hair who wants to follow in her father’s footsteps as an Evel Knievel style stuntman. Phillip is an egg who’s more concerned with safety and inventing new contraptions—which ideally also have to do with safety. Rather than coming off as a hero and her sidekick, D.D. and Phillip fit together and complement each other perfectly as a pair of ultimate friends. Comics are a great medium to get stories in front of kids and Lemonade Summer is a new comics anthology that’s hoping to make the most of that. Currently running a kickstarter campaign, this anthology by Gabi Mendez features seven stories about queer, transgender and non-binary youth coming of age, learning important things about themselves and fostering friendships with each other, all while going on summer adventures. 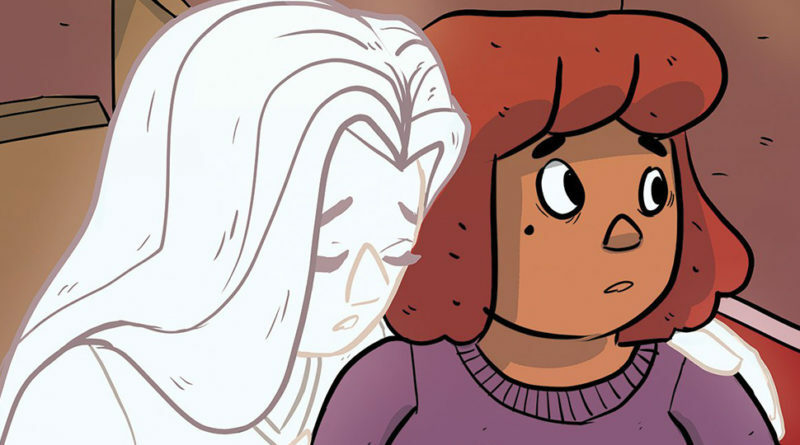 The premise is sweet, the art is cute and the project itself is important — there just aren’t enough stories for queer kids about queer kids. jamey hampton. 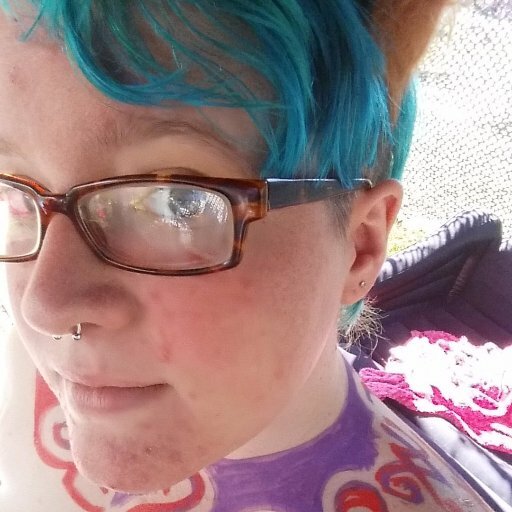 non-binary adventurer from buffalo, ny. maker, burner, gishwhesian, traveler of space and time. Where Were You During The LARP In Question?